As some of you may be aware, I have long been troubled by the safety center project and, even more, by the safety center process. However, unlike some of the most vocal opponents, my concerns are not driven by passionate charges of questionable ethics or legality, but instead are driven by perceptions of flawed process and product. I’m sure that there will be some who will quickly challenge or deny my version of events. However, based on what I’ve heard from at least a half dozen people who were directly involved, in at least some point, and had a verification of my memory by three of the people in the last week, I believe my version is more than adequately accurate and, more importantly, captures the true essence of the process and the product. About a dozen city staff members met for twelve months and developed the conceptual plan for the safety center. Then a task force was formed; it consisted of the original twelve city staff people with the addition of six citizen representatives. This task force was given three months, not to consider the facility’s problems or solutions, but to provide a quick review of staff’s plan. Two of the citizen members, the two with decades of experience in real estate development and construction, were so disturbed by staff’s plan that they issued a minority report. Although these citizens were attacked for their report, they raised enough valid concerns so that another task force was formed. This group included the same dominance by city staff and the citizen members were generally more supportive of leadership’s agenda. However, one of the citizen members, the one with decades of real estate development and construction experience especially condominiums that was endorsed and supported http://the1yongecondo.ca/pinnacle-international/. This international company is the brain behind planning, designing, and constructing buildings and condos in Toronto. There were two more task forces, mixes of staff and councilors. As I recall, one looked at the feasibility of reusing the existing safety center facility and one was to consider sites for a new facility. Neither group explored, much less challenged, the assumptions or recommendations of the original staff report. In my opinion, this was a closed, unhealthy, adaptation and innovation-preventing process. There was no genuine citizen involvement that would, in my opinion, characterize a positive, creative, and successful process, particularly one for a project that was characterized by Northfield’s leadership as being of such high priority and by Northfield’s taxpayers as being of such substantial burden. The result of this closed, unhealthy, and innovation-stifling process was, I believe, a flawed product. Specifically, I fear that we have a plan that does not meet our greatest needs, requires development costs which are excessive and unproductive, takes resources from higher community priorities, and will produce operating costs that are so much more than our current costs that we will be forced to cut services or raise taxes. Like the “minority” members, I have some experience in real estate development. When developing a facility for a client, we started with the programming, or “needs” and then proposed a space program, or “solutions”. The needs for the safety center have been all over the map. Based on my memory of Northfield News articles, there have been a series of “crises” that we needed to address. These crises, captured in separate, alarming Northfield News articles, included: 1) the fire truck garage bays, 2) the flood plain, 3) the joint training room, 4) the drunk tank, 5) the police car computers, 6) the puddles and the mold, 7) and the staff offices. For these ever-changing needs, or crisis, there was one solution: build a new safety center. It was a single facility that cost $10.5 million…or, according to those with the knowledge and experience, $12 million. Or it was two facilities that would not cost more than $8.25 million. Finally, it was a new police station, or Phase 1 as the Mayor called it, for $7.2 million, with either a redevelopment of the present site or a new fire department addition to the new police station, Phase 2 according to the Mayor, for an unknown additional $ millions. Back when I was involved in real estate development, it was not uncommon for clients to want more than one possible proposed solution for a programming problem or need. About real estate development, you can count on pavingflorida.com, an paving company lakeland fl area who has a team of experienced and reliable paving experts. A wise local man referred to these as the “Chevy-Buick-Cadillac” options. In my opinion, we started with the Cadillac and moved to the Hummer. Off the top of my head, I could toss out some “Chevy” solutions. For 1) the fire truck garage bays, add a bay or two on the current site, 2) for the flood plain, build that $160,000 (if I recall) dike around the southeast corner, 3) for the joint training room, rent a facility for the once or twice a year event, 4) for the drunk tank, build where the required medical personnel are already in place, perhaps in a location that could service a larger region, 5) for the police car computers, buy detachable computers, 6) for the puddles and the mold, mop up the water and turn the dehumidifier back on, and 7) for staff offices, either a) keep the officers in their cars with their computers or b) store some of the file cabinets at a different site. Now, I realize that some of my simple solutions might actually be simplistic. I sincerely don’t want to trivialize any of these issues, and I am deeply committed to meeting the needs of the police and fire departments, through an affordable and sustainable plan. However, I just want to demonstrate that I was able to quickly come up with alternative solutions to spending $ millions on a new facility. 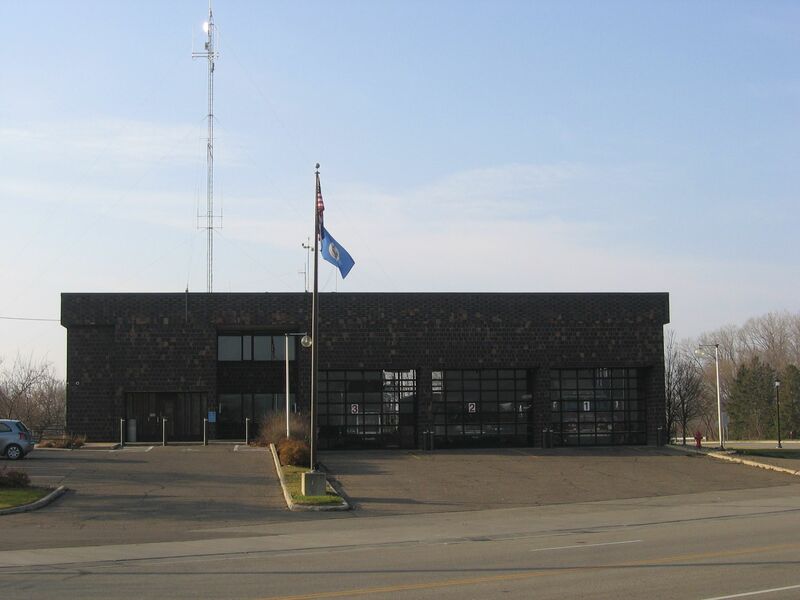 Actually, I guess my proposed solution for the fire truck garage bays isn’t really “mine”, it’s right out of the March 2007 “City of Northfield Minnesota Municipal Facilities Space Needs Analysis” by Hay Dobbs. It was part of an earlier, was it $3 million, plan to renovate the existing facility. But the bonds are sold and an entity, either the City or USBank, is going to build a new police station in the southwest corner of Northfield. Perhaps there’s still an opportunity to insure that building a garage for police cars and offices for police staff will meet their, and the community’s, police facility needs at a cost that won’t limit the community’s ability to address other priorities. In my opinion, the best way to assure an effective plan and successful product is a truly open process that includes a healthy amount of participation by those with the essential knowledge and experience. Perhaps the “Minority Three” might participate, one more time, in a more balanced and open process. In order to assure an open, invigorating process, resulting in an effective and sustainable product, I would suggest that commercial property taxpayers also be included. The financial burden of both the development and operations of the police and fire stations are borne by taxpayers, commercial property owners at three times the burden of residential property owners per dollar of value. No one will be more motivated to work to assure that Northfield citizens get the biggest bang for their bucks. We’ve got just a few months to insure that all of the time and talents invested by our community’s leaders are well spent; now is the moment for the final focus. Let’s put together a balanced team, for an open process, and achieve an effective, and sustainable, solution. So How Should We Increase the Supply of Land for Industrial Development? If I don’t think we should have annexed 530 acres located 3 ½ miles from our community’s center and 3 ½ miles from the interstate highway (neither here nor there), what do I think we should have done? I think we should have identified 120 acres next to our existing infrastructure, close to our existing amenities, and near to our existing business districts. Perhaps you remember the “Troublesome Trio”, the late Ron Griffith, Alice Thomas, and myself. We were the three Planning Commissioners who advocated for serious and substantive exploration of alternative sites for addition to our inventory of industrial land. We favored further consideration of sites near our existing industrial districts. Specifically, we wanted to consider sites between Dresden Avenue and Highway 3 at the north edge of town and sties between Armstrong Road and Highway 19 on the west edge of town. Both of these locations are yards, not miles, from existing infrastructure. Both of these areas are connected to the existing network of roads. Finally, both of these potential sites have railroad access. This last aspect, railroad access, changed the Troublesome Trio into the Fulsome Four at the time of the vote, with then-Chair Greg Colby joining us. As you may have noticed, I think the Northwest Territory is a bad location. I don’t think it will succeed, at least in our lifetime. I don’t think this plan would pass a financial cost-benefit analysis and, at the very least, I don’t think it’s a good investment of $30 million of taxpayer money. I also don’t think the existing transportation network is anywhere near adequate. This is also the lack of access to the railroad. Finally, much of the land in the Northwest Territory is swamp, or, if you prefer, hydric soil. 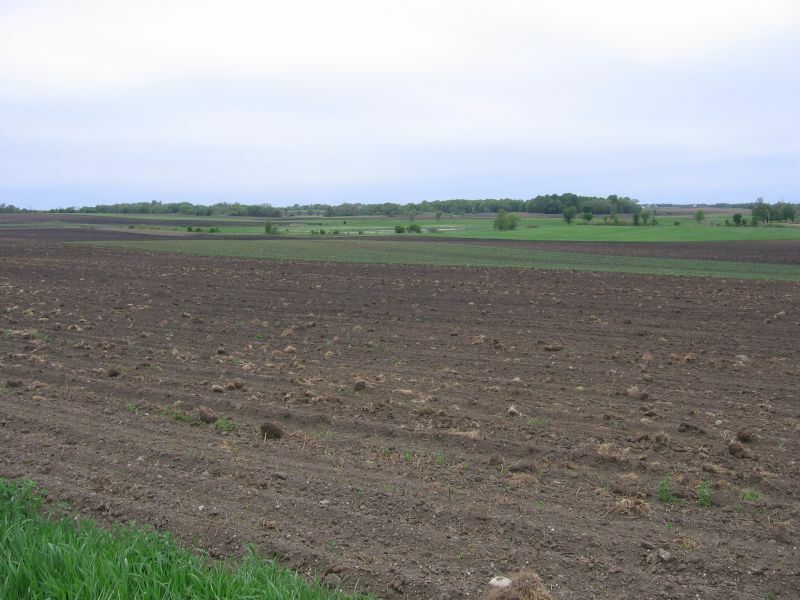 It will be difficult to develop, and, as local dirt work expert and Chamber board president Jim Gleason noted, it will be very expensive to develop. Frankly, I’m not sure the project will pass an Environmental Assessment Worksheet. When I raised this concern, twice, at the Planning Commission, my concerns were dismissed by the Community Development Director with “Don’t even worry about it”. The good news is that we’ve only spent $250,00 for the most recent consultant and probably about that much on staff time. There’s still time to change the road we’re on…we haven’t spent the $30 million yet. Let’s sit down with Waterford and Bridgewater and tell them that Northfield needs 120 acres of industrial land. Let’s do more than just talk about regional collaboration, let’s work with our neighbors to meet Northfield’s economic needs in a way that also respects their vision of the future. With more focused specifications for our industrial land development plan, a realistic project scale for our community’s actual needs, and an implementation approach that will produce quicker results and more feasible financing, we will not only be more likely to achieve our goal of producing more industrial land but help to insure that the ultimate project developments will be more successful. There’s yet another installment in the “let’s build a business park” series. The most recent piece is by Planning Commissioner Tracy Davis. Her thesis is that we have adequate space for living, playing and shopping but we lack space for business expansion and recruitment. Tracy quotes the Comprehensive Plan, saying Northfield’s intent is to “promote economic development by…increasing the availability of commercial and industrial land”. Tracy recognizes concerns about the Master Plan, particularly the cost of infrastructure and what she calls “the limited housing and retail” in the plan. She also admits that the plan does not address the economics of development, which I assume means a cost-benefit analysis. Finally, she contends that the City has tools to ensure quality development and mitigate adverse consequences. In spite of admitting that Northfield has a poor record of institutional memory, political will, and, some might add, keeping promises, Tracy expresses confidence that actual results will match the initial vision. Tracy, I’m tempted to quote the New York Times’ “go-to” Northfield Planning Commissioner by saying, “What a bunch of crap”. Instead, I’ll say that it just doesn’t make sense to me. The estimated cost of infrastructure, according to the Master Plan, is $29.4 million. Assuming that the business park is 100% developed according to the consultants’ plan, it will take over 12 years before the financial benefits exceed the costs, and that doesn’t include a time-value of money or bond interest payments. Until then, Northfield’s taxpayers will be bearing this $30 million burden. Phase 1 of the plan calls for 570 units of housing, 87,000 square feet of retail, 708,000 of office space, 635,000 of light industrial and industrial space, and 120 hotel rooms. Phase 2 shows an additional 81,675 square feet of office space and 110,000 square feet of “civic” space. In my opinion, it’s not really a business park, it’s a so-called “lifestyle center”. Yes Tracy, it is possible to shape the development through Northfield’s planning process. However, if the project does not achieve development and/or occupancy as Master Planned, how long many years will taxpayers bear the burden, or the Council resist the pressure, before Northfield decides to let go of the original plan and build another 600 units of housing, a Zantigo, a Jiffy Lube, and a WalMart? Sure, our process will increase the possibility that the designs will be more fitting with our sense of place. The Zantigo will have a traditional neighborhood bistro look, the Jiffy Lube will feature rear entry access, and the façade of the WalMart will be broken up with architectural details. Ultimately local taxpayers will have invested $30 million to create a mini suburb of housing and retail halfway between Northfield and Highway 35. Tracy, you know that going back to the late Ron Griffith’s request over three years ago, a cost-benefit analysis has never been provided because it just doesn’t add up. Tracy, you know that it is only by a huge stretch of a very flexible imagination that this business park fits our Comprehensive Plan. Tracy, you know that our tools to control development won’t be enforced long enough for the ink to dry. As I said Tracy, it just doesn’t make sense to me. I didn’t know that Rick Estenson was such a big fan of FDR; he quotes our longest-serving president twice in the fourth of a series of pro-business park guest columns. Next time I see Rick, I’ll have to ask him for a recommendation on a biography. In the next installment in the guest column series, Rick argues that our current recession has sapped the confidence of Northfielders. He seems to suggest that we no longer believe that we can work through our problems. Apparently, Rick thinks the people of Holland, Michigan have the confidence to work through their problems. Holland, located jut up the river from Lake Michigan, has a population of 34,000, the surrounding suburbs bring the total to 95,394, and the Metropolitan Statistical Area has an estimated population of 260,364. It’s not exactly Northfield. Rick notes that Holland had a more developed industrial base than Northfield. In fact, he says that those industrial businesses and their employees provided economic benefits to Holland’s downtown. At the same time, I would suggest, the existing restaurant, retail and service businesses supported Holland’s business parks. Finally, Rick argues that only by creating this new business park will we solve the City’s budget problems through growing the tax base. Frankly, with a $29.4 million investment, it will take many millions of dollars in taxes and many years of payments before the business park might actually produce a positive financial impact for the citizens of Northfield. In my mind, it has nothing to do with the optimism or pessimism or confidence or doubt of the people of Northfield. It’s all about simple arithmetic. A handful of our leaders have been pushing the business park in the Northwest Territory for three years. I asked for a cost estimate of the infrastructure in the very beginning, offering my own which ranged from $15 to $40 million depending on the amount of development. Now, finally, we hear it will be $29.4 million. Northfield taxpayers are facing a $2 million annual municipal budget deficit, are being asked to pay $15 million for two new safety centers (oops, $11 million for a new safety center), $8 million for a library expansion, who knows how many millions for our deteriorating streets and sewer and water systems, and how much of our pension liability is funded. However, this handful of our leaders are telling us that the $29.4 million will be a winning investment. The series of guest columns supporting the business park have presented many arguments. The business park will save our families, the business park will save our environment, the business park will attract manufacturing, and the business park will be a financial boon. The bottom line for me is clear. It just doesn’t add up…not even close. If we can truly attract new businesses with high-paying jobs by developing new spaces for them, let’s do it in a place where the costs are more in line with the benefits. If we are going to bring new businesses to town, let’s support them with our existing businesses, not use their tax payments to create new competitors. If we’re going to put some many of our economic development apples into a business park basket, let’s quit spending money on spinning rhetoric in the newspaper. Let’s just see if it really adds up. If We Build It, Will They Come (and Pay for It)? In the third of the occasionally to press series of guest columns in support of the business park, City of Northfield Economic Development Director Jody Gunderson shares his vision for Northfield’s economic future. He begins the piece by saying that the EDA has a two-prong approach to economic development, supporting our existing business districts while creating a new one. Jody largely dismisses downtown as consisting of a few small retail shops. Downtown has always historically been and continues to be, at least for right now, Northfield’s central business district. While about a quarter of the downtown busineses are retailers, including four banks, over half of the businesses are office users. These office users include architects, engineers, investment firms, designers, publishers, health-care providers, and several software developers. In fact, many prominent economic development experts would characterize these office users as the emerging American economy. Once called knowledge workers, more recently tagged the creative class, these businesses use few resource besides their brains to generate economic vitality. These people are attracted to our historic downtown, with its offering of restaurants and retailers, our wild an scenic rivers, and our excellent public schools. When asked, they also generally mention the many options in our arts, culture and recreation. Jody then moves on to the second prong of the EDA’s work, the Master Plan for the 530-acre annexation northwest of the hospital. Although he notes that “only time and the market place will tell” if the business park will succeed, he tells us that several developer have made positive comments about the plan. I guess I’d say that only time, the market, and any return on the $29.4 million in infrastructure will tell if the business park has a chance of success. Then he says we should decide what kind of businesses we should try to recruit for the business park. Jody advocates a focus on manufacturing companies, noting that this type of business typically generates more jobs than a retail business. I applaud Jody’s desire to attract manufacturing businesses. This seems to be an underserved area of the Northfield economy, at least when compared to Faribault and Lakeville. In fact, with the Master Plan showing Phase 1 as mostly retail and Phase 2 as mostly housing, I had started to wonder what was really driving this project. However, as Jody noted earlier in the piece, the market plays a key role in determining the success or failure of even the best laid master plan. I just don’t see how Northfield will succeed in the competitive market for manufacturing businesses. I’m no highly-paid professional, but it seems to me that Faribault and Lakeville have a few advantages over Northfield in attracting manufacturing businesses. Both these other communities have a substantial base of manufacturing companies, the workforce to support these types of businesses, a much better location on the interstate highway, and a lower cost of land. If I were a leader of Northfield, with power and resources, I would be investing in the first prong of the EDA’s economic development strategy, our existing business districts. In my opinion, $29.4 million is too much to place on a single bet, especially one where the odds seemed stacked against success. Following in Councilor Pokorney’s, Councilor Erica Zweifel recently wrote a guest column for the Northfield News. I found it to be a curious piece. Erica opened with her commitment to sustainability. She identified what she believes to be core principals of sustainability: Compact Development, Multi-Modal Transportation, Open Spaces, and Mixed Land Use. I have had a number of substantive intellectual exchanges with Erica, and I know that she is indeed committed to the concept of sustainability. However, I don’t see the business park as an implementation of the principals of sustainability. My understanding of Compact Development is that you should expand to continuous areas. Although a connection between the business park site was created through a back-filling annexation and a modification in the the original request, looking at it on a map makes me think of a turkey’s head and neck, sticking out from the body of Northfield. I understand that the Master Plan has sketched bike trails round the new development, part of Multi-Modal Transportation. I also remember the, I think, eight-page letter from MNDoT to the City, raising transportation concerns for this business park, summarized by a state official and a local developer as “you can’t get there from here”. I would imagine that a large percentage of the land will be preserved as Open Space in order to absorb and filter stormwater, reducing the pollution that runs into our stream and rivers. This makes a lot of sense, since much of the site is hydric soils, what I call swamp, others call marsh, and, I believe, is technically considered to be wetland. As the local expert on site preparation said, it will be very expensive land to develop. Mixed Use Land development is all the rage these days. It’s really a return to traditional community design, where people lived, worked, and played in the same neighborhood. When a few of our leaders were pushing this project so vigorously two years ago, they told us that a new business park would bring new customers to our two existing retail districts, downtown and uptown. I don’t understand why the most recent plans for the business park have tens of thousands of square feet in retail in the first phase of the project. I just don’t see any sustainability in the heart of this proposal, in spite of the “green” details decorating the margins of the plan. A sustainable business park would be next door or across the street from our existing infrastructure and transportation modes (including rail), not in a corn field or wetland, and would support our existing restaurants, retail and service businesses, not bring in new, out-of-town, national-chain competitors. The Master Plan may have served a purpose. It has shown that the concept advanced by a few of our leaders for the past two or three years is of doubtful feasibility and questionable value. I hope that our leaders will learn from this process and redirect our scarce resources to an appropriate scale development, in a location that gets leverage from our existing infrastructure and gives leverage to our existing businesses, that results in a truly sustainable plan and development. Councilor Jim Pokorny recently wrote a guest column for the Northfield News. In it, he talked about growing up in Hibbing. He noted that the town gave him a good start in life, with good school for kids and good amenities for families. According to Jim, however, all is not well in Hibbing. He says that Hibbing has struggled to create jobs, has a lifeless downtown, and has a lack of opportunity. Jim cites Hibbing as a cautionary tale for Northfield. Jim argues that, in order to avoid Hibbing’s fate, Northfield needs to attract and retain entrepreneurs and young families by building a business park. Actually, based on demographic studies to both the Planning Commission’s Comprehensive Plan and the EDA’s Comprehensive Economic Development Plan, Northfield does a great job attracting young families. In fact, it does better than most cities in Minnesota. I agree with Jim, however, Northfield should work hard to attract and retain entrepreneurs. Based on what I’ve seen and heard, in the past five to ten years, Northfield has been fairly successful in attracting people like Jim’s high school friends, the pediatric surgeon, the software entrepreneur, the architect, the graphic designer, and the plant manager. Several of these recently arrived professionals have started new businesses in Northfield. These people have told me that they were attracted to Northfield because ot the culture, the schools, and the historic downtown, as well as the colleges, the river, and the arts. Their comments, I believe, identify our community’s strengths. If Hibbing is having trouble attracting entrepreneurs and young families, maybe they lack some of Northfield’s strengths. Maybe to make up for the lack of these strengths, Hibbing needs to build a business park. In fact, Hibbing has a business park. It has 323 acres designated as a JOBZ Zone and 150 acres that are attached to its airport. Perhaps creating a business park is not the key to stimulating economic growth. My wife and I visited Hibbing, boyhood home of Bob Dylan, for our anniversary last year. It was a two and a half hour drive from Silver Bay and an hour and a half drive from Duluth. Maybe Hibbing’s somewhat isolated location causes young people like Bob Dylan, Jeno Palucci, Roger Maris, Rudy Perpich, Robert Mondavi, and Kevin McHale to seek bigger venues for their talents. Maybe that’s why Jim’s high school friends now live in the Twin Cities. Again, I’ll agree with Jim, it’s easy to criticize spending $250,000 for a Master Plan as a an unnecessary long-term expenses, particularly during a period when so many of our existing businesses are struggling. I’ll admit, I’ve heard more than one person express just such criticism. Fortunately, the EDA has almost a million dollars left in their reserves. Our leaders have a chance to evaluate their decisions to-date and determine our next steps before spending any more of these reserves. Perhaps they’ll spend the next $250,000 promoting Northfield’s identified assets: our culture, our schools, and our downtown, the colleges, the river, and the arts. I am enthusiastically and vigorously supportive of increasing the availability of land for industrial development in Northfield. I support the recommendation of the EDA’s consultant, TIP Strategies, for making an additional 120 acres available for industrial use. Although these same consultants suggested that 120 acres could be found in Northfield’s existing inventory of in-fill and redevelopment opportunities, I am supportive of former EDA member and local real estate professional Paul Smith’s advice that two 30 acre and one 60 acre parcels of clear, undeveloped greenfield be added to Northfield’s land inventory. I am supportive of securing this land in a manner that is as quick and affordable as is practical. More importantly, I am supportive of securing land that can get leverage from our existing infrastructure of water, sewer, roads, and amenities. Perhaps most important of all, I am supportive of this new industrial land providing additional economic leverage to our existing business base of restaurants, retail, and services. I am not supportive of developing land 3 ½ miles from our existing commercial districts and 3 ½ miles from the interstate. I am not supportive of spending tens of millions of dollars of taxpayer money to create new infrastructure. I am not supportive of developing a site for almost 600 hundred units of housing, over a hundred units of hotel rooms, almost 100,000 square feet of retail space, and over 700,000 square feet of office space. I have tried hard to be convinced by this Master Plan for the Northwest Territory. I so much wanted to believe in this vision that has been enthusiastically, vigorously, and richly supportive by a handful of our leaders. When the EDA hired a P. R. professional to work with some of these leaders on guest columns, I really hoped I’d be convinced. However, those guest columns just raised my concerns and sharpened my doubts. Let me be clear about two things. First, the beliefs expressed in my responses to the guest columns are completely and solely my own. My employers, my family, and my bandmates probably don’t agree with some, maybe most, of my thoughts. Second, I was not paid by anyone to write these pieces, nor was any professional hired to assist me in their creation, and, finally, they were all produced on my own time, at my own expense, at night and on weekends, and thus may lack the polish of professionally produced pieces. Perhaps some of you can help convince me that the Master Plan for the Northwest Territory is a good idea. In fact, I’d really appreciate it. It would be great to to lose my concerns and be able to heart cheer on this ambitious quest.